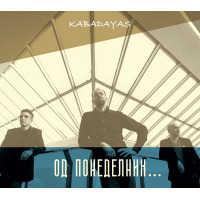 Od Ponedelnik or "Starting from Next Monday" (in Macedonian) is a follow up to Kabadayas' debut IV (Atlantic Jazz, 2012), and it and is the perfect title for the record the band has been postponing since 2012 (Hence the title). But the band members are all busy playing on other projects and bands. Since the debut, a lot of things have changed for the band. For a start, the band is no longer a quartet as clarinetist Goran Bojchevski did not take part in the recording or writing any of the material. Instead, the remaining three players turned towards themselves and as a result, Od Ponedelnik sounds nothing like the debut. It's as if it as recorded by an entirely different band where the material reveals another side to these very fine players. The resultant album is a potent statement that showcases the band's facilities and fresh compositional style. It also showcases the group's unmistakable closeness in an intimate, fluidly interactive session. Chemistry is one of the most important characteristics of any kind of successful jazz ensemble and it's obviously present here. But unlike the debut, these compositions are full of laid-back character with emphasis on subtleties and nuances. 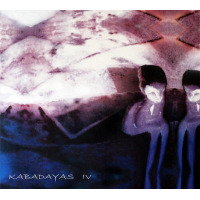 Instead of a playful powerhouse, Kabadayas turns into a highly melodic and quietly unpredictable and dramatic sound. The trio's chemistry infuses the entire 30 min recording but can be heard most clearly on the opening "Ponekogas vo 6" where, at one point, Kostadinovski's Scofield-esque guitar lines are captured by Maksimovski deep pulse and Milosavljevic's imaginative drumming. Obviously, the band's approach is more about composition and creating a group vibe, and on Od Ponedelnik the trio creates a distinctive one indeed. On many of the compositions, the trio displays an influence of guitarist John Scofield's trio with drummer Bill Stewart as the driving engine. Kabadayas pushes the tempo with "Skopilj." All throughout this record Milosavljevic's drumming is not only consistently inventive even though most of the compositions on this album are slow ballads or mid-tempo songs, but the emphasis is more on atmosphere and melody than on the pyrotechnics of which he is capable. Not all of the works are jazz trio instrumentals. The album also features two songs with two female guest vocalsby Svetlana Jovanovska Trajkovska on "Letame" and Marija Dimitrievik on "Vtora Sredba." "Letame" is based on the same melody as on the opening "Ponekogash vo 6" and is a wonderful late night song gently sung by Svetlana. Kostadinovski's playing is entirely different with, minimal amplification, evoking Kenny Burrell as he produces a quietly inventive statement. On the other hand, Dimitrievik scats all throughout "Vtora Sredba," which lends a playful bossa-nova feel. This song was originally written by the late pianist Dragisha Soldatovich-Labish and is one of the two covers on this record, the other being "New Ooze" by bassist Tony Levin. "New Ooze" is a dark and melodic tune where Maksimovski evokes Levin's Chapman Stick ominous melodies. The joy in collaboration continues on remaining three tracks: "Portret," "Like Mike" and "Vo Zima," where the interplay resembles a good conversation among friends. An appealing aspect of this trio's approach on this record is that it prizes the understated as well. There aren't any grand statements here, no big demonstrations or fireworks, but the music is full of surprises and subtleties, and it delights from start to finish. Track Listing: Ponedelnik vo 6; Skopilj; Letame; Vtora Sredba; Portret; Like Mike; Vo ZIma, New Ooze.